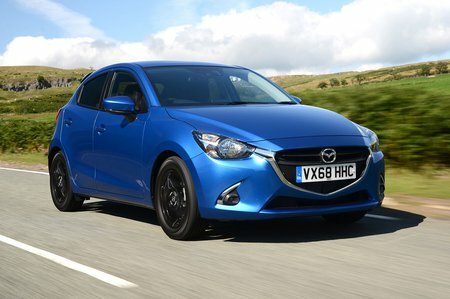 Mazda 2 1.5 115 GT Sport Nav+ 5dr 2019 Review | What Car? What Car? will save you at least £483, but our approved dealers could save you even more. The top-spec brings with it more tech and more style. GT Sport Nav+ adds LED headlights and running lights, reversing camera and leather upholstery with heated front seats. It is a bit of a step up in price from the SE L Nav+ trim, though. If you want something a bit quicker, there’s also the top 113bhp engine that’s available on the GT Sport Nav+ with a manual gearbox only. However, it doesn’t feel dramatically more powerful than the mid-range petrol engine, yet costs more to buy and run.